A fence is a barrier, usually made of posts and wires or wood, that encloses a territory and prevents entrance or keeps livestock (ie, animals in a farm) in. Informally, we call someone who receives and sells stolen goods a fence. Sometimes with the word off, to fence means ‘to enclose a space with a fence’ or ‘to separate something as if with a fence.’ Informally it means ‘to sell stolen things.’ To fence also means ‘to practice fencing,’ a sport in which opponents fight each other with a special sword. Christine had to repair the fence after some of her cows escaped. The thieves took the jewellery from the robbery to a fence. We're going to fence that area of the field to make an outdoor space for our chickens. My parents fenced off the area around the swimming pool so neighborhood kids wouldn't be able to get in. The rock star was fenced around with body guards everywhere he went. Gary successfully managed to fence everything the thieves had stolen. I learned to fence in college because I wanted to try a new sport. Cole Porter wrote a famous song called “Don’t Fence Me In,” which cowboy actor Roy Rogers sang in the 1944 movie Hollywood Canteen. Check it out here! 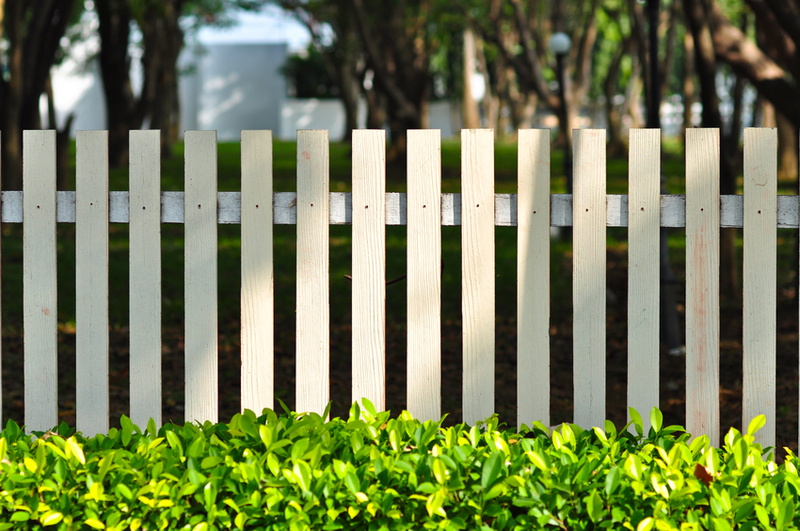 Fence is also sometimes used to mean ‘to avoid giving a direct answer.’ For example, you could say, “The politician wouldn’t say exactly what the policy would be; she just kept fencing.” A more commonly used synonym in this context is hedge. Fence first appeared in the first half of the 14th century, as fens in Middle English, which is a shortened form of defens (nowadays defense). The verb first appeared in the 15th century, meaning ‘to defend yourself with a fence of hedge.’ The sword-fighting sense was first seen in 1590.